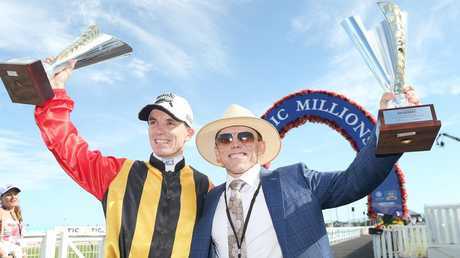 BJORN Baker says he doesn't have to sell his house after winning the Magic Millions Cup. There were hugs, slaps and leaps when Redouble won Saturday's 1400m race, the second $1 million race win for Baker, who won the Snippets with Egyptian Symbol earlier in the day. It came five years after he won the 2YO Classic with Unencumbered. "It's been a while since we have celebrated like that," Baker said. "It's a big week and I've spent a lot of money (at the sales). My wife (Andrea) owns a lot of Redouble. We don't have to sell the house now. Redouble arrived at Baker's Sydney stable midway through 2017 after featuring in multiple Group races and Baker said he was lucky to continue the journey with him. "It's been a good day. My old man (Murray Baker) won a Group 1 race in New Zealand today too. "I phoned him up and said 'well done' but it was after Goodfella ran second in the (Magic Millions Trophy) and won more money ($185,000)." JAMES Cummings says Godolphin's Magic Millions 2YO Classic win shows they are part of Australian racing, not apart from it. The Cummings-trained Exhilarates became the eighth favourite to win from the past 10 $2 million 2YO Classics at the Gold Coast Turf Club on Saturday, storming home after being caught behind early. "She got squeezed at the start but she is experienced and seasoned and we set out to do that with her," Cummings said of a horse who won the final lead-up race at Aquis Park a week ago. 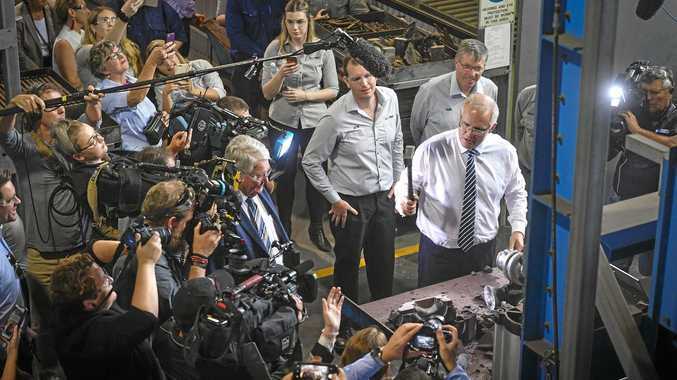 "I think that stood her in really good stead. Two starts ago she got squeezed at the start at Wyong and I reckon she should have beaten (former Classic favourite) Unite And Conquer that day. "Full credit to that horse he has ability but on this occasion she was just too seasoned and able to get it back together. 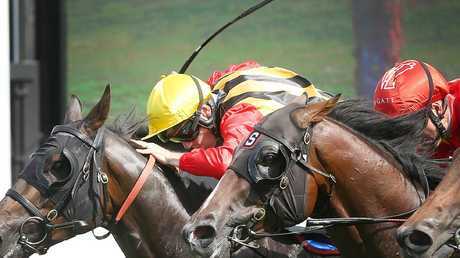 "(Jockey) Kerrin McEvoy kept his cool and she has got that speed at the top of the straight. I just knew she had the fitness to really kick into overdrive for us. "We are not just over the moon, that really gets us passionate and gets us going. "That is what it's about. We are not an aloof, cool operation who don't care, we are really invested here and I think one of the reasons we are back buying yearlings like Exhilarates is it shows that we are part of Australian racing, not apart from it." Dubious, owned by Canungra based breeding and racing operation Aquis, finished second but won the top Racing Women's Bonus of $325,000 to go along with the $370,000 awarded to the runner-up. Dubious was in front coming down the straight but couldn't hold on as Aquis just missed out on securing back-to-back 2YO Classic wins following their success with Sunlight in 2018. BOOMSARA has won the $2 million Magic Millions 3YO Guineas for Brisbane trainer Chris Munce. The gelding edge out rivals Bondi and $2.25 favourite Outback Barbie by a nose in the closest finish of the day at the Gold Coast Turf Club. The win takes Boomsara's career prizemoney from $361,400 to $1,561,400 from just nine races for the Group 1 runner. "You set out a plan and put in a lot of hard work and for it to come to fruition is a great thrill," Munce said. TRAINER Chris Waller says he has no plans of sending two-time Magic Millions winner Invincibella to an early retirement after she defended her Fillies & Mares title. Waller, the second most successful trainer in Magic Millions history, secured his second win of the day with the five-year-old mare, who won the same race in 2018. Invincibella has only improved since last year's success, winning three Group 2 races across Queensland, NSW and Victoria. "It's a big day for the owners and she is a genuine mare," Waller said. "Since she came here last year she has had all those big Group 2 race wins and it seems to have given her confidence. "What more can you say for a mare like that. She is there fighting with the best of them through the week. She is an amazing horse and gets the job done. "She is getting to be worth a lot of money now but we will go on instead of going into early retirement." Waller said he also wanted more success despite his strong standing in Magic Millions history. I'd like to go a little longer yet so who knows what might happen," Waller said.